M. Phil. thesis Housing for the rural working classes of East Yorkshire in the late 19th century and the Development of Early Rural Council Housing to 1939 (with especial reference to Skirlaugh and Driffield rural district councils), 245 pages, single sided, copies at British Museum, my home and Beverley Treasure House (reference only). Humberside University, 1992. Please find my contact details at the bottom of the website if you wish to enquire about this publication. 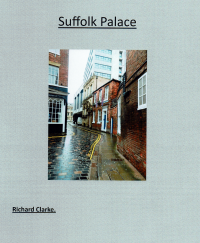 At a local printer I can get printed and simply bound copies of each of the following PDFs, I can post them to any interested reader at costs varying with the length of the study (pages). Please contact me at the address below for any further information. Focus - Church studies. Landscape studies. 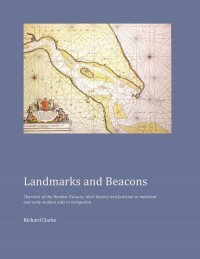 Precis - Churches of the Humber Estuary, their history and function as medieval and early modern aids to navigation. (84 pages, 22,000 words, 62 illustrations). 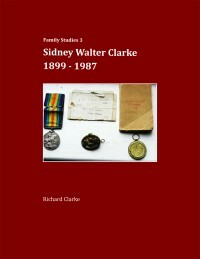 Focus - Clarke family history. Precis - Biography of one of my sisters. (13 pages, 3412 words, 10 illustrations). Precis - Biography of my father's early life and on his service in the Tank Corps, 1917-1921. (24 pages, 3716 words, 21 illustrations). 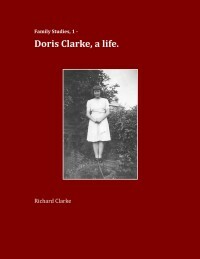 Focus - Clarke family history, (presented in my preferred manner). 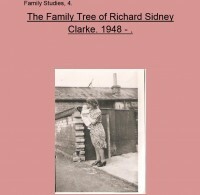 Precis - The family trees of my mother and father and their ancestors. Mostly confined to a relatively small area of south-west Norfolk. (14 pages, 4654 words, 4 illustrations). Precis - A study of the once estate cottage in which I grew-up and dating from the 1870s. (8 pages,1581 words, 3 illustrations). 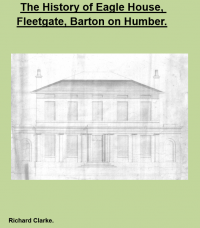 Precis - A comprehensive listing of all published material relating to Barton on Humber from 1812 to the present day. (25 pages, reduced to A5, mostly chart listing sources in chronological order and with Two-part text introduction and six-part text appendices). 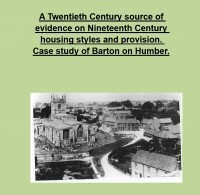 A 20 century source of evidence on 19 century housing styles and provision. Focus - Housing studies, Landscape studies. Precis - 20th century demolition records can be a very useful source of historical evidence about 19th century working class housing and land-use. (25 pages, 5744 words, 21 illustrations). Precis - A study of church steeples and their impact on the medieval landscape across the lowland environment of the south Humber 'Marsh'. (13 pages, 2613 words, 8 illustrations). Precis - A study of a pre-Enclosure lowland coastal area with particular reference to Goxhill 'Marsh', north Lincolnshire. (12 pages, 4215 words, 7 illustrations). Focus - Landscape studies, Local studies. Precis - A study of the history of the physical area of the lower R. Hull valley before the embryonic port of Wyke (Hull) gained its royal charter in the 1290s. (36 pages, 11,000 words, 15 illustrations). 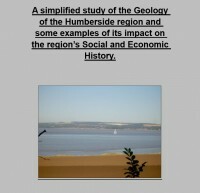 Precis - 'Everyday' geology of the Humberside region and its impact on the social and economic history of the region, this with particular reference to the history of the chalk quarrying industry. (48 pages, 11,277 words, 35 illustrations). Precis - A study as defined in the prosaic title (actually more interesting than one might think!). A methodology and chronology that can be applied to all regions. (40 pages, 10671 words, 24 illustrations). Focus - Landscape studies, Urban studies, Housing studies. 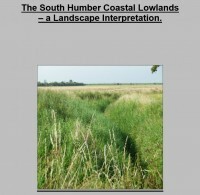 Precis - The evolution of a once wild area of coastal lowland on the north bank of the Humber to one of complete urbanisation and industrialisation. 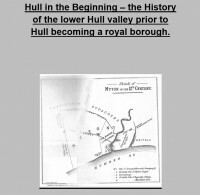 Overview history of the area that is now south-west Hull. (33 pages, 10,186 words, 17 illustrations). Focus - Landscape studies, Housing studies. Precis - Up to the 1950s 'hutment colonies' were common on the east coast - the one at Aldbrough, now almost gone, on the Holderness coast provides an interesting example. (15 pages, 3000 words, 9 illustrations). The picture here is, of course, of Spurn Point, not Aldbrough - this a product of my stumbling attempts to upload the article. 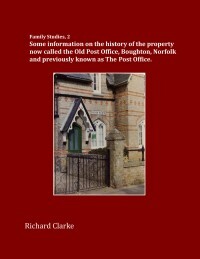 Precis - The History of Eagle House, Fleetgate, Barton on Humber. A late-Georgian period house currently in a derelict state. (20 pages, 4338 words, 13 illustrations). The 'Low Villages', a series of 12 articles. Precis - A series of 12 articles produced originally as a one per month run for the Low Villages magazine (some minor problems were encountered in combining then to a single article). The Low Villages parishes are a 'run' of five spring-line settlements at the base of the chalk escarpment scarp slope in North Lincolnshire. (58 pages, 10868 words, 67 illustrations). 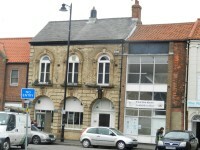 History of the Corn Exchange, Barton. Precis - A two-part study, part one compiled from a study of surviving documents, part two from evidence of the building internally and externally. The evolution of Baysgarth Park, Barton on Humber. 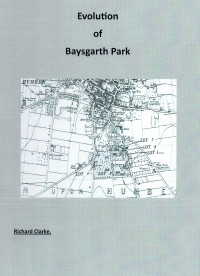 Precis - A history of Baysgarth Park, one of two public parks in Barton on Humber. (7 pages, 20150 words, 5 illustrations). Focus - Housing studies, Urban studies. Precis - A study of the history and site of a significant late medieval/early modern property in Hull. (12 pages, 4,560 words, 10 illustrations). 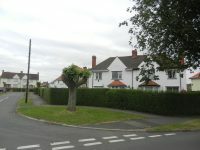 Development of 'Garden Village', Barton. Precis - This small development is a good example of the impact of the Garden City principles on the design and lay-out of some inter-war housing projects. (7 pages, 2050 words, 4 illustrations). 2 Miscellaneous memorabilia from Doris’ time at the GrammarSchool (late 1930s) and of mine (1959-1966) have been deposited at Downham Market Museum. St. Nicholas, Beverley (late 1980s, part funded by Beverley Arts Committee). 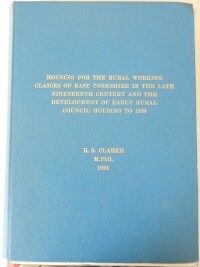 Housing for the Rural Working Classes of East Yorkshire in the late Nineteenth Century and the Development of Early Rural Council Housing to 1939 (M.Phil. thesis, 1992). 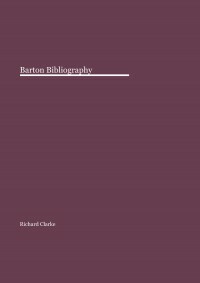 ‘Walking the Clay Bank’ – contribution in Walton J. (ed.) 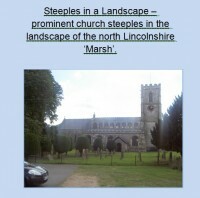 Aspects of Northern Lincolnshire (Wharnecliffe Books, 2002). Keelby Parish and People 1880-1918 (W.E.A. Keelby branch, 1997). Winteringham 1761-1871 (W.E.A. Winteringham branch (Belton Ltd.), 1999. 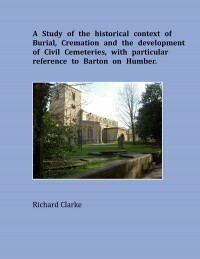 Barton upon Humber Town Guide (Barton Civic Society, 2009 (revised). Discover Barton, Parish Pathways Inland and Parish Pathways Humber Bank Area (Barton Civic Society, 2002, reprinted 2007. 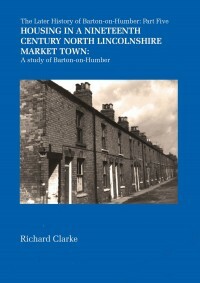 Housing in a Nineteenth Century North Lincolnshire Market Town: a study of Barton-on-Humber (Fathom Writers Press, 2012). Hull in the Beginning (Vol. 14 Journal of the East Yorkshire Local History Soc., 2013). 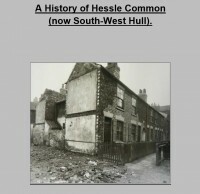 Hessle Local History Society Newsletter, History of Hessle Common – series of four extended articles (ongoing). The Low Villages magazine, series of 12 articles on the landscape history of the five Low Village parishes (ongoing). M. Phil. thesis Housing for the rural working classes of East Yorkshire in the late 19th century and the Development of Early Rural Council Housing to 1939 (Humberside University, 1992). A number of the extended articles reproduced here as pdfs are products of extensive research, that being so I hope to have some published in the not too distant future.